We have had our hummingbird feeders out for a little while now. They get pretty close to us without a whole lot of concern. 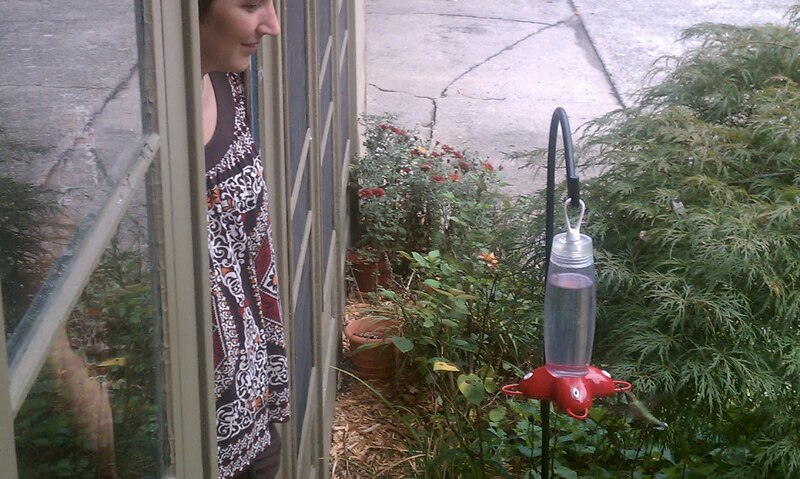 Today we were both able to stand by the window and they came up and landed on the feeder. I wanted to try to capture how close we were. She is kind of hard to see but there is a little green blur by the feeder! Sweet picture. That's crazy close. Are you outside or inside? I was outside, standing in the corner, patiently waiting for the bird to come back. They don't seem to mind people if you hold still.